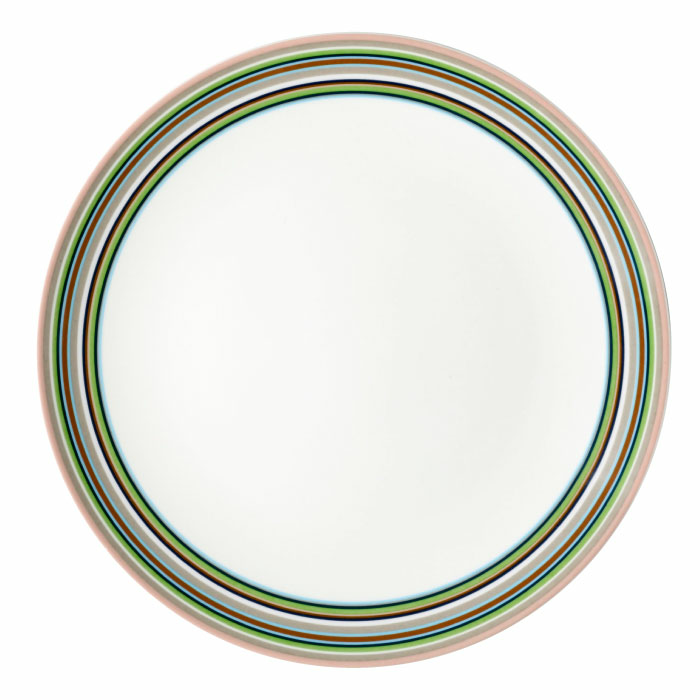 The Iittala Origo dinner plate was designed by Alfredo Häberli for Iittala in 1999. Origo�s vivid colorful stripes were designed to compliment other Iittala lines, particularly Teema, to allow for easier mixing and matching and to provide bold accents to your dinner table. With stackable components, the Iittala Origo collection includes plates, cups and bowls and is both beautiful and practical.